LG device users are very lucky as they have the smart LG tool. LGUP tool is a recently developed tool for the flash kdz/tot/bin LG stock firmware files available on the LG Android devices. Many users are very confused about how to use and install this LG tool app on their PC system. This flash tool available on LG devices is beneficial to perform the up gradation process of LG. You can use this tool effortlessly to update your LG Android device then there is no other better way to do that. If you want to download and upgrade/flash the LG Smartphone, then you can download and install the LG flash up tool on your Windows PC. There is also a Samsung ODIN tool which works the same as the LG flash up tool. The users have to only download the LG firmware file on their device. The important thing about this tool is it only works on Windows XP/7/8/8.1/10 versions. In the year 2014, the flash tool was very popular on the LG devices. However, the later version had various bugs and connection problems. The LGUP which is now available on the LG device is very smart. It is also a bug-free platform. Users can use this app without any complications. In this section, you will know how to use the LGUP tool with ease. This is not the official LG tool, but it developed by the popular Android LG tool developers. Before knowing more about it, let’s see some of its unique features. 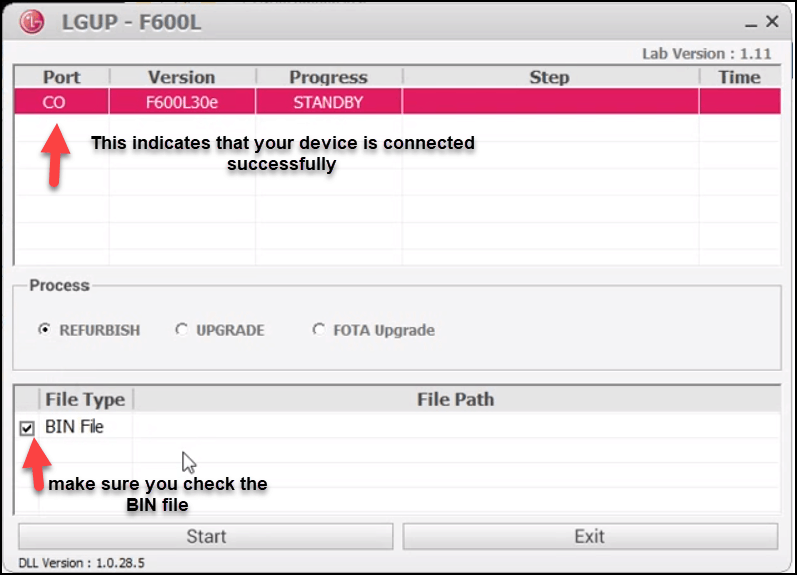 The LG UP tool is very easy to use and flash the firmware of your device. If the device is rooted with custom ROM, then you can simply flash the LG device using LG Flash tool. You can also try unrooting your LG device and make it to the stock state. The firmware is sometimes launched based on the Geographical location. You can wait for the OTA update and wait until it comes to your location. The LG tool is a multi-application tool. This flash tool helps to flash the stock firmware of any LG devices. The tool is compatible with any LG device; it identifies whether the device is a tablet or a Smartphone. The tool is available in only one file format. To open the file, you have to double click it and use it. You don’t need to install this app. without the installation procedure it can work. You start using this tool to perform the tasks you want to do. There is a log option available in this app. whenever you do any action or if the app does anything the app itself get logged in. Everything done through this app will be saved in the log file. If there is any difficulty when doing a particular task, then you can check where a mistake has been made. The interface of LGUP tool is very smooth and neat. It may be difficult for some users to understand how the app works but with proper instructions they can use it with ease. The two applications LGUP file and DLL file are contained in the zip file. They come in the format of .msi and functions on the windows PC. You have to install the files present in the windows pc to create the flash tool work. You are also supposed to install the LG drivers on your computer. You can see the link for download at the bottom of the page. Without the presence of the drivers, you will not be able to work the flash tool for the windows. Firstly download the LGUP tool zip file from the above-given link and get the LGUP flash tool on the computer. Now you have to download and install the LG USB drivers. You can find two files in the folder of LGUP Flash tool zip file. LGUP_8994_DLL_Ver_0_0_3_23.msi Now, Install this .msi file to install some DLL files on your PC. After this installation, you have to install again LGUP_Install_Ver_1_14_3.msi an executable file. Then follow the instructions on-screen to finish the installation. Now the whole process is done. LGUP Flash Tool program is successfully installed on your Windows PC. You can utilize this tool to flash/install the official LG stock ROM on your LG device. The LGUP flash tool must be downloaded and installed. LG USB drivers have to be installed. Connect the LG phone to your PC and then open the LGUP flash tool on your PC. The LGUP tool will list the LG phone after the connection. If the connection is not proper and the name is not coming in the list, Try to reconnect it. You have to check if the BIN file has a tick on the flash tool and the file path must be pointed to the MM KDZ (firmware file) which has already been downloaded. Now, this is a crucial step; you have to shut down your LG Phone. Then, Turn ON your phone by pressing the Volume UP + Power Button Simultaneously to boot into Download Mode. Again, open the LG UP tool, and you will see that MM KDZ will be displaying the section of the file path. Here, You have to load the firmware file (.kdz) into the tool. Choose the Upgrade option contained in the flash tool and check if the BIN file is marked. Then press the start. After this process is completed, the phone gets restarted, and the work is over. The flashing is over, and you can disconnect the device and unplug the computer. There are some things you need to know if you are using the flash tool in LG phones. Visual c++: This tool requires visual c++ to work well. LG USB drivers: You have to see if you got the latest versions of LG USB Drivers in your computer. These are the uses and benefits of the LG UP/Flash Tool. 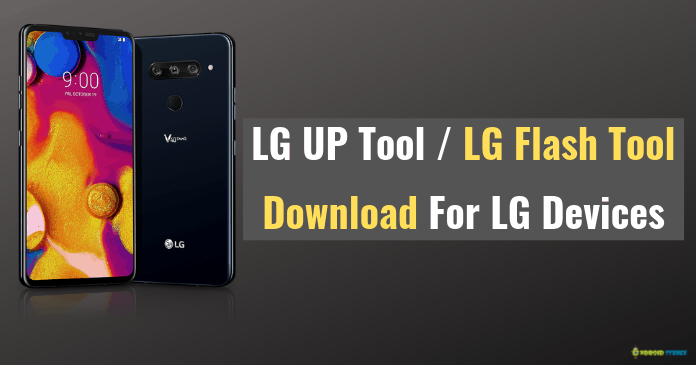 Follow the important steps above to download the LG UP Tool on your PC and Flash or Install the Stock ROM on your LG device. If you got stuck in any step, drop your query in the comment section below. Also, Do share this article with your friends. Follow us on social media for quick updates like this. Stay Tuned!